An Afghani boy is selling Dry Fruits, Rewrhies (Sweets) & Nimko (Salty Stuff) in front of main entrance to GHS for girls in Meena Bazaar Hazro. 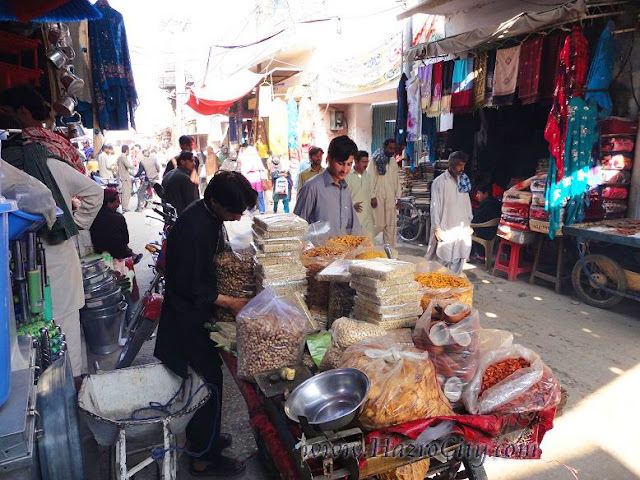 Mostly Dry Fruits are imports from Peshawar which are forwarded from Afghanistan. Pehlwaan Rewrhi of Chakwal is really sweet & tasty which is made by Desi Ghee. Nimko of Mardan city is also famous in salty stuff.